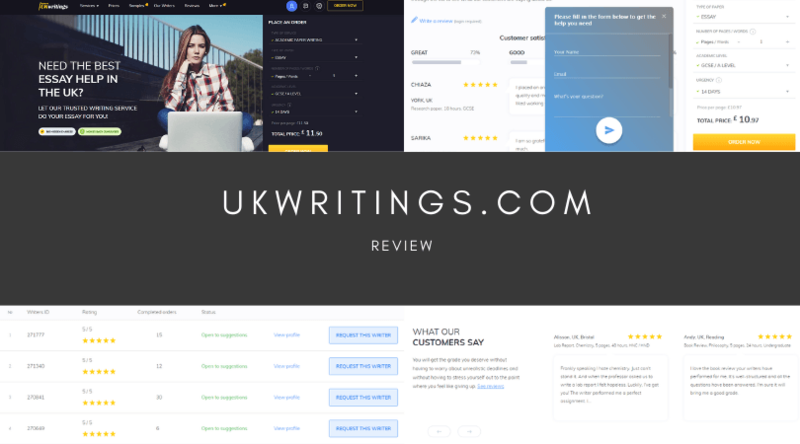 Looking for a website that will give you a good deal on your order for an essay? 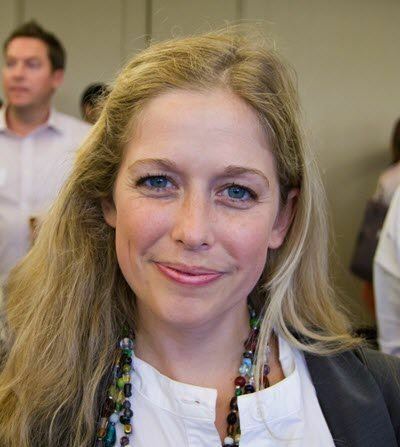 One that will make sure an excellent writer writes your essay, that it will be thoroughly checked for plagiarism, and that you’ll receive on time? I’m hunting for a site like that too, and today I’m going to look over 7 Dollar Essay to see if it meets my needs. 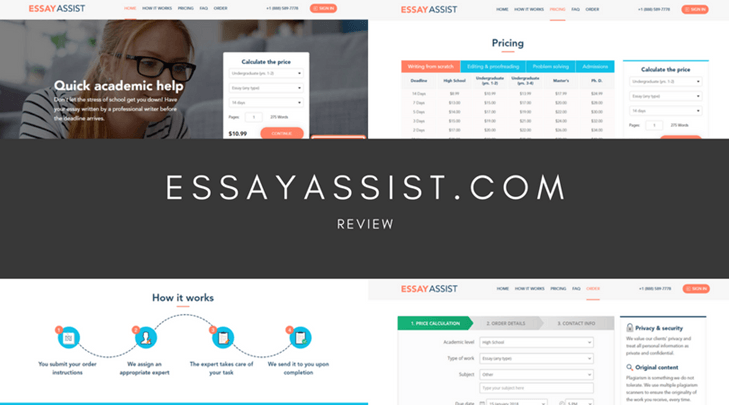 7DollarEssay provides a fairly typical array of services such as essays and papers of all kinds, math problems, multiple choice questions, speeches, editing, and formatting. They support high school students, undergrads, and students studying for Masters’ degrees, and do so in a variety of subjects, including English Literature, Physics, Accounting, and Nursing, among many others. I ran a quote on the site (available via Order Now) for an eight-page essay at undergrad level, due within a day. Using these criteria, the cost per page was $25, so my total came to $200.00, which is on the high side, but not extreme for the short deadline. In fact, if I wanted the paper done in six hours, that would have increased the total cost to $256. Dropping my deadline back to ten days makes it much more affordable at only $88. I did not spot any discount codes or money-off promotions on the site. 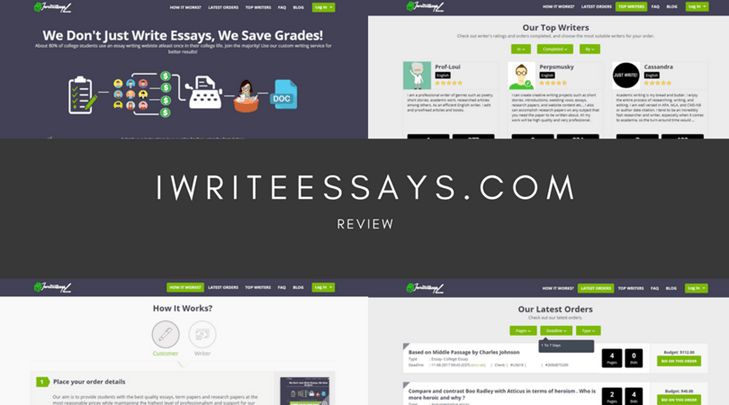 Surely the most important part of any essay writing service is how good of an essay you get. It would be pointless to hand in a failing essay to your teacher or professor, or worse, fall for a site that scams you and doesn’t provide a legit, original essay. 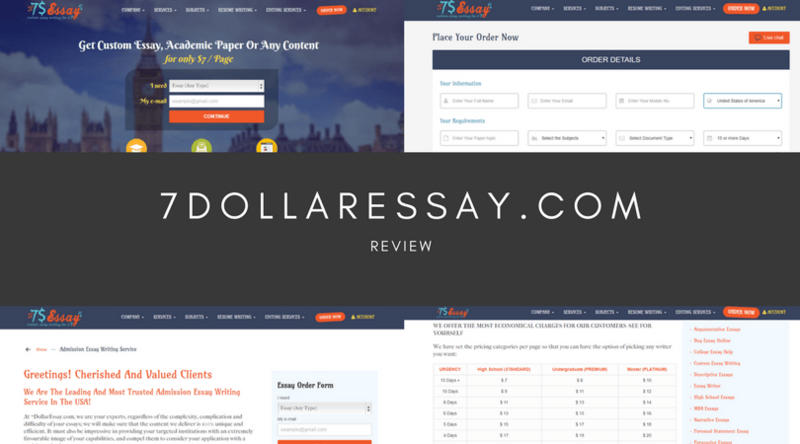 I had a look over 7 Dollar Essay’s site to see what I could find about people who had previously purchased from them. I did note that the site itself appears to have been written by people who are not native English speakers, which is concerning. They have a few YouTube testimonials, but no sample essays on their site. So, I turned to Google, and found mixed reviews, with some positive but quite a few negative. There were complaints of grammar errors, and a statement from one customer that the writers did not write like native English speakers. 7DollarEssay’s customer support looks a bit lacking at first glance. There is a Live Chat system, but I had to scroll all the way down to the bottom of the page to find the informational email address and support contact number. There are also links to Facebook, Twitter, Google+, and Pinterest. To be honest, I wasn’t impressed, and I wouldn’t feel comfortable signing up for an account with 7DollarEssay.com. I’m not certain they have the expertise I’m in need of, and I’d rather go somewhere more reliable and trusted. I would prefer somewhere that was clearly and obviously better.